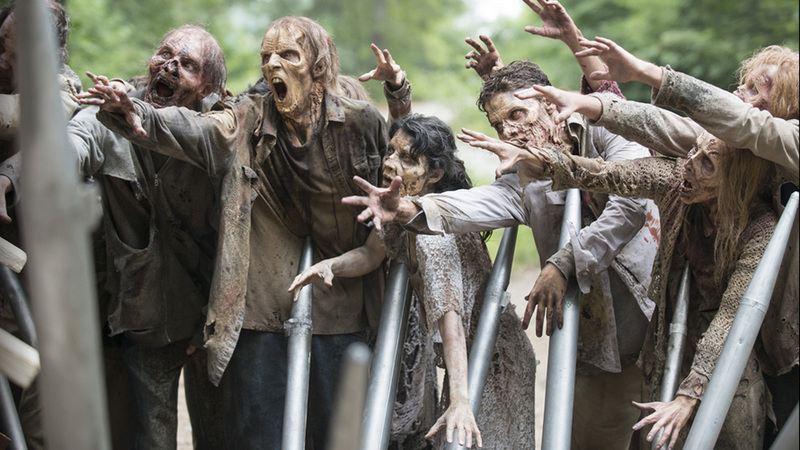 Frank Darabont gets a bad rap for his work on The Walking Dead — especially from me! — but no one disputes his major accomplishment: He gave the zombies real teeth. From the very beginning, the titular monsters were fully realized and utterly horrific, all hollow eyes and gnashing incisors, their appetites intact even when their bodies weren’t. Glen Mazzara, Darabont’s successor as showrunner, gets a bad rap for his work on The Walking Dead — especially from me! — but no one disputes his major accomplishment: He winnowed the cast of Wonder Bread protagonists and began repopulating the series with compelling characters instead of empty calories. Under his watch, Danai Gurira (Michonne), Chad L. Coleman (Tyreese), and Sonequa Martin-Green (Sasha) joined the cast while Lori, Shane, Andrea, and Dale all exited. Even more important was Mazzara’s ability to generate movement from former stiffs like Carol and Carl. The Walking Dead under Mazzara wasn’t perfect — in fact, it wasn’t good at all — but at least the living began to show a few signs of life. In contrast to his predecessors, Scott M. Gimple, the showrunner since Season 4, is getting nothing but praise. And deservedly so. I stand by everything I wrote a few weeks back: The Walking Dead has been shockingly good so far this year. The storytelling jolts and shudders unpredictably, the action stems from emotion and not the other way around. Yet the more I think about it, the more I come to the conclusion that Gimple’s best and most important work thus far has involved the aspect of the show most ignored by Darabont and Mazarra. Not the zombies or the survivors, but the ruined world itself. By simultaneously sharpening his focus and widening the canvas, Gimple has finally made The Walking Dead feel like a TV show instead of a gory series of unfortunate events. This Herculean effort has not only won back my attention, it’s also bought him a lot of goodwill. Which is important, because “Coda” was a surprisingly weak conclusion to such an impressive run. I found it to be scattered and unconvincing — a forced destination that felt disconnected from an intriguing journey. Even so, it’s hard to harp on the faults, because so much of what has been working was in evidence here. Once again Gimple used the sharpest and most effective bolt in his quiver: The element of surprise. Just as Gareth’s violent end resonated more strongly because of when it happened (in Episode 503, weeks if not years ahead of what we Governor-weary viewers had been conditioned to expect), so, too, did the quick resolution to Sergeant Lamson’s escape attempt. Maximiliano Hernández is both a talented actor (check him out on Season 1 of The Americans) and a recognizable one (that was him hailing Hydra in Captain America: The Winter Soldier); no one would have batted an eye had he stuck around for a while. 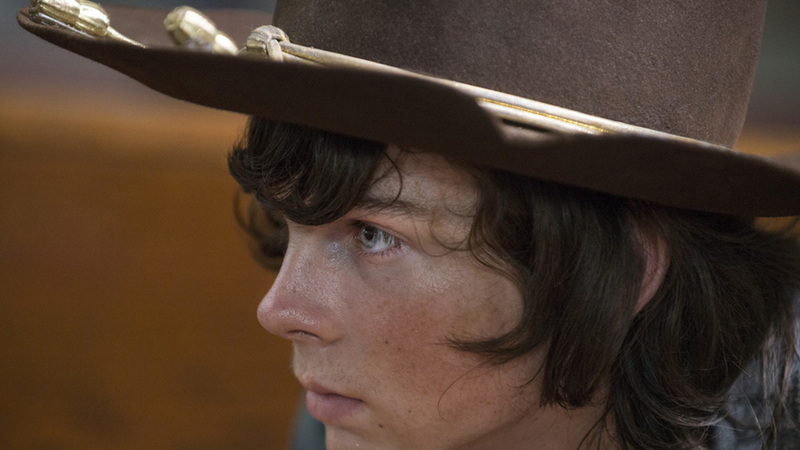 But under Gimple, The Walking Dead now operates as ruthlessly as its lead. There will always be more grist for the mill, more meat for the rotters. And so, thanks to Rick, Lamson’s run ended before the credits even began. I suppose it was also surprising to see the way Carl and Michonne didn’t hesitate to compromise their safety to rescue the squirrely Father Gabriel. If leadership rots from the head down — and said leader is currently shooting people in the head for the crime of not obeying orders — why was it reasonable for them to put Baby Judith’s life in jeopardy for the sake of a guy who clearly can’t be trusted? I guess there are limits to the whole logic vs. emotion thing. Characters making the wrong choices for the right reasons is the backbone of drama. Characters making the right choices for the wrong reasons is a video game. Besides, it didn’t cost Our Gang anything but a temporary hiding place and one last shot at that communion wine. Because Abraham — the man with a fire truck as red as his mustache — rolled back into the picture just in time to save the day. One of the potential downsides of Gimple’s hyperspeedy storytelling is that good-byes don’t last long enough to carry much emotional weight: Glenn and Maggie’s aborted trip to Washington wouldn’t even qualify as a field trip. But considering how static The Walking Dead once was — I’ve seen butter churns more compelling than Hershel’s horse farm — I’m not going to complain about movement, even if the path is more of a circle than a straight line. The biggest problem with “Coda” was where it ended up. Not with Beth lying dead on the floor, mind you. That was fine. During the botched handoff, as Rick was lovingly caressing her face, the thought did occur to me that the character had nothing left to offer to the show. What more was there for her to do? Her transformation from near-mute wallpaper into a spiky heroine capable of carrying an episode was one of the more remarkable feats accomplished by Gimple in his relatively short time at the helm. Emily Kinney’s farmgirl looks and pretty singing voice were played straight by Mazzara and his team. It took the new regime to recognize the way anxiety and stress can feast on those features like carrion. In Slabtown, with her face stitched up like Frankenstein and her gaze gone hideously blank, Beth looked devoured and defeated. The strength she showed at the end wasn’t backbone. It was just bone and it was all she had left. Still, for the life of me I can’t quite understand why Beth died. Was she trying to prove a point? Was she unwilling or unable to continue? Or did she just really want to stab Dawn in the chest? I thought Christine Woods — so good and so underappreciated on Hello Ladies — was exceptional as a leader trapped in a situation she could neither manage nor understand. But one of the side effects of her palpable humanity (how about that single tear after tossing her former cigar pal down the elevator chute!) was empathy. Ultimately, I didn’t get the sense that she was “using” Beth any more than Rick is “using” Daryl or any of his followers.1 In a death-ravaged dystopia, you have to rely on people for help and sometimes that help isn’t pretty. I’m not entirely convinced that the only other alternative is to stab them. Increasingly, the only difference between groups of morally challenged survivors is whether their names are in the main credits or not. This is an interesting distinction but not necessarily a novel one. And so nothing happened in that vertiginous hallway, shot so well by directorial MVP Ernest R. Dickerson, that made me believe it had to go down that way. There was a new Dawn ready to step in as soon as the old one fell down. Noah could have been haggled over. He probably could have just escaped again. In truth, Beth’s selfless stabbing wasn’t saving anybody. Except, I suppose, herself. One of the lessons of this season of The Walking Dead is that there are people made for the new world and people who simply can’t cut it. By surviving as long as she had, Beth had cut herself into ribbons. Her suicidal choice of scissors made for a poetic, if unfortunate, final slice. The beautifully dreamy final tag suggested that the second half of the fifth season will be about an old friend catching up to our crew rather than a new villain chasing them down. This can only be a good thing, primarily because Lennie James, as the anguished Morgan, would be a strong addition to an extremely healthy cast. But it’s also worth cheering for because, last night’s stumbles aside, it suggests that The Walking Dead is moving away from the monster-movie climax rhythms of its early years and toward a humbler, rougher sort of narrative, one that recognizes that, though the context may have changed, we humans have always been our own worst enemies. We simply can’t stop chasing after each other even if something far worse is now chasing us. I assume circumstances will only get more dire come February. (Eugene’s revelation proved that happiness and Atlanta, like Taylor Swift and Jake Gyllenhaal, are never, ever getting back together.) But I hope that inevitable darkness emerges from within, not without. There was something particularly striking in the look on Gabriel’s face when he saw the human foot, scorched and riddled with maggots, on the makeshift grill outside the school. It wasn’t disgust, exactly. It was recognition. The Walking Dead used to be a show about eating people. Now it’s a much more interesting show about hunger. And that makes all the difference. Note that I said “followers” and not “people.” One of my biggest pet peeves with this show is the way everything is “your people” and “my people.” How about we just say “friends” and leave it at that?